Microburst is a 32-page, two-issue publication consisting of art and creative writing. The first issue will consist of content supplied by a core group of writers and artists. The second issue will consist of writing and art by citizen response. Each issue will address the concerns of Kansans. The publication will be 11’’ x 8.5’’, consisting of 30 pages plus an 11’’x 17’’ color centerfold poster. The cover will be color, and the first issue will be released February 2016. An action workshop led by speakers and artists will be held shortly afterward, marking the official call for artistic and written responses from the community that will be included in the second issue. This second issue will be released early summer of 2016, and all responses will be recorded on a website and shared online and through social media channels. The publication will be distributed physically via three handmade wooden street boxes emblazoned with screen-printed art, in pre-approved locations in Lawrence, Topeka and Wichita, Kansas. They will also be distributed online as a PDF, to organizations and individuals who will be encouraged to further print and distribute. Artistic content will contain collages, comic strips, stencil templates, sketches and print reproductions and will address social/cultural/political issues. Written content will contain essays, hip-hop lyrics, poetry, satire, word search and/or crossword puzzles. Written content will have an emphasis in first-person experience and will always contain a call-to-action. • Leah Sewell, project leader, is the communications editor of the Topeka Library, and a nationally-published poet, graphic designer and editor. She’s done graphic design and layout of over a dozen books and edited Topeka magazines for a combined 12 years. • Justin Marable, project leader, is an artist living in Topeka. 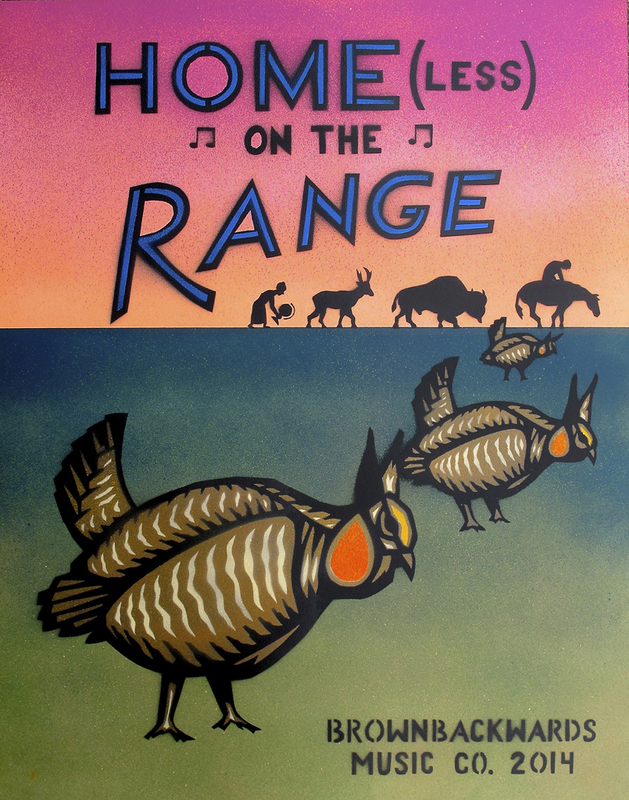 From his home print studio, he creates art about Kansas and the Midwest. For the last several years, he has developed a diverse audience through his unique process & style. Printmaking, particularly, screen printing, has become his main method of artistic expression. He is a recipient of several regional and local awards and his work has been published locally, regionally, and nationally.